NEW YORK (AFP) -- Curling up with a paperback may be a forgotten luxury for many thanks to today’s busy lifestyles, but listening to a book on the go, while shopping or jogging, is fast becoming the new norm. “It’s sort of nice to sit back, and relax and have a story told to you,” said Roche. 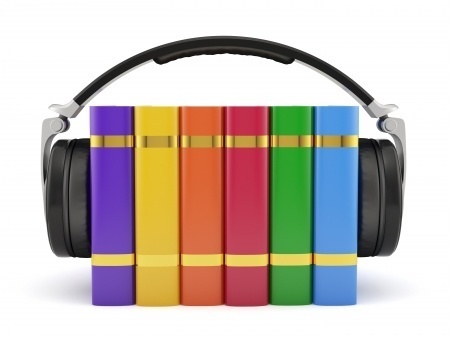 Some 35,574 audiobook titles were released in the United States in 2015, according to the Audio Publishers Association, an eightfold increase over five years. “What we found out is that’s a way for consumers to make that time in traffic, quality time,” said Roche. “But if it’s a quite contemplative type of environment, driving or working in a quiet manner, it‘s probably a great way to experience these books,” he said. The audio rights for Hart’s first book were sold to Recorded Books. After that, his publisher Macmillan sought to retain control of the audiobook as well as the print rights. Roche estimates that at least 1,000 copies of a given audiobook must be sold in order to start making a profit. That’s because they can be expensive to produce. “We still count on print to lead the charge, but I do believe that audio sales are helping to expand the market and finding new fans for our authors,” said Goff.